Hereditary chiefs opposed to a natural gas pipeline in Wet'suwet'en territory in Northern British Columbia are holding a gathering of solidarity on Wednesday that is expected to attract Indigenous leaders from across British Columbia. Chief Judy Wilson, secretary treasurer of the Union of B.C. Indian Chiefs, said she was planning to attend the meeting and other members of the group had already flown to Smithers. "I'm heading up there to support the Wet'suwet'en hereditary chiefs and the people, the clans, in their fight to protect their land," Wilson said. She said the difficulty that the hereditary chiefs have had in getting their authority recognized by industry and government is familiar. Elected band councils are based on a colonial model of governance, she said. Under the tradition of her Secwepemc First Nation in the B.C. Interior, title belongs to all of the people within the nation. "Collectively, people hold title for our nation," she said. Coastal GasLink says it has signed agreements with all 20 elected First Nations bands along the pipeline route to LNG Canada's $40-billion export facility in Kitimat, B.C. But the project has come under scrutiny because five hereditary clan chiefs within the Wet'suwet'en say the project has no authority without their consent. 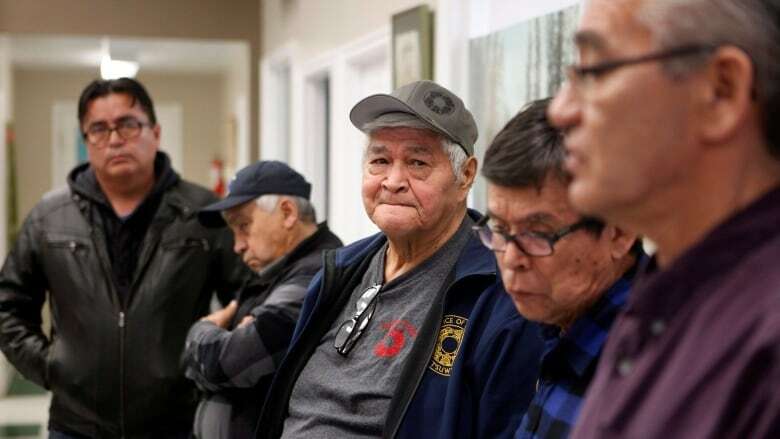 While elected band councils are administrators of their reserves, the hereditary chiefs say they are in charge of the 22,000 square kilometres comprising Wet'suwet'en traditional territory, including land the pipeline would run through. Members of the First Nation and supporters were arrested last week at a checkpoint erected to block the company from accessing a road it needs to do pre-construction work on the project, sparking protests Canada-wide. On Thursday, the hereditary chiefs reached at deal with RCMP, agreeing that members would abide by a temporary court injunction by allowing the company and its contractors access across a bridge further down the road, so long as another anti-pipeline camp is allowed to remain intact. Hereditary Chief Na'Moks told reporters that the chiefs reached the agreement to ensure the safety of those remaining at the Unist'ot'en camp, but remain "adamantly opposed" to the project. The interim court injunction will be in place until the defendants, including residents and supporters of the Unist'ot'en camp, file a response in court Jan. 31. A Facebook page for the Wet'suwet'en Access Point on Gidumt'en territory posted an alert on Sunday calling for rolling actions across the country. It referred to the 1997 Delgamuuk'w case, brought by the Wet'suwet'en and the Gitsxan First Nations, in which the Supreme Court of Canada recognized that Aboriginal title constituted an ancestral right protected by the constitution. "As the Unist'ot'en camp says, 'This fight is far from over. We paved the way with the Delgamuuk'w court case and the time has come for Delgamuuk'w II,'" the statement says. The ruling in the Delgamuuk'w case had an impact on other court decisions, affecting Aboriginal rights and title, including the court's recognition of the Tsilhqot'in Nation's aboriginal title lands.